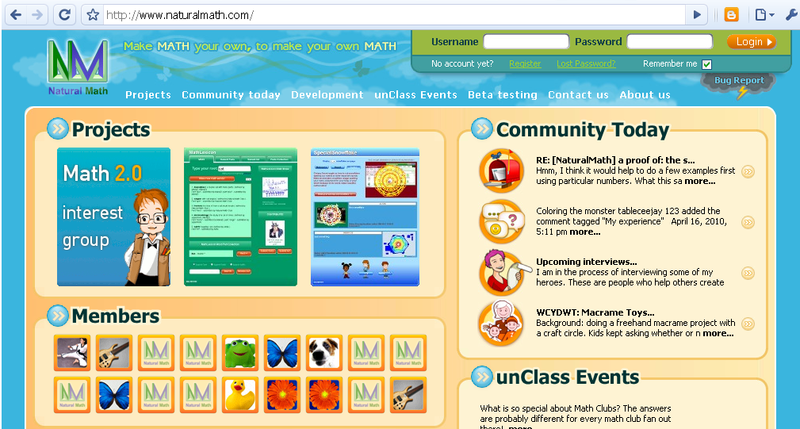 Natural Math is a web mathematics community for math teachers and students founded by Dr. Maria Droujkova. Despite being in is beta state, it’s one of finest math community website I’ve seen so far. It has a variety of features: a blog, a forum, a group interest and many more. Some of its notable projects are Math 2.0 Group Interest, Math Lexicon and Special Snowflake.